After two years of construction and several more years of planning, the new Interdisciplinary Center for Nanostructured Films (IZNF) is now ready for research groups. Our group moved in today! The new lab is in the heart of the Technical Faculty of FAU next door to our experimental collaborators. Streetview of our new building IZNF at Cauerstraße 3. 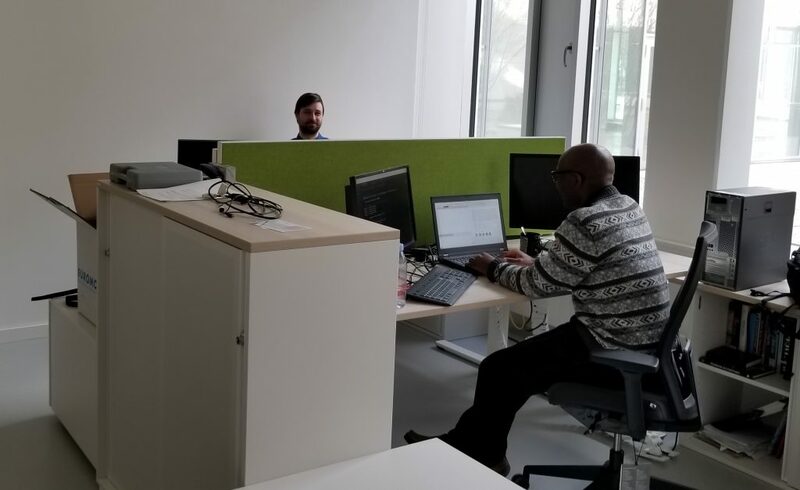 Alberto Leonardi and Chrameh Mbah testing the new workplace.